Allan Henderson is a swimming coach and is excited to be experiencing his first Special Olympics World Games. Allan began coaching Special Olympics 12 years ago when his daughter Bekah started competing. Allan coached swimming for Team Kansas at the USA Games in New Jersey in 2014. He has also taken men’s softball teams to the North America Softball Championships three times. His teams won two silver medals and most recently, a gold medal at the tournament. 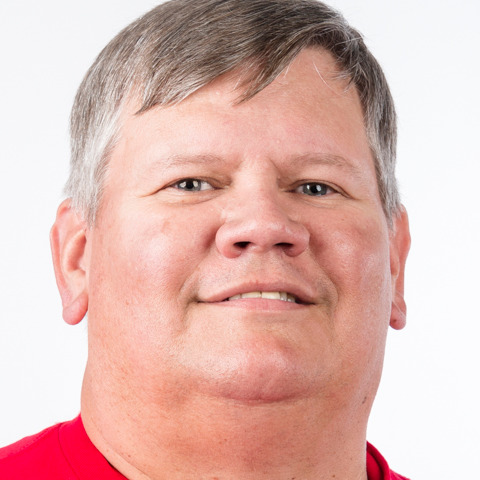 Besides coaching, Allan serves on the Board of Directors for Special Olympics Kansas and is active in fundraising. Allan works as a Site Projects Engineer for Mars Wrigley Confectionery in Topeka, Kansas where they produce caramel and peanut m&ms, Twix bars and Snickers candy bars. Allan graduated from the University of Kansas and is an avid Jayhawk fan. He is especially proud of the men’s basketball team. Allan and his wife, Cathy, have been married for 31 years. Allan learned to speak Arabic while serving as an advisor in the US Army during Operations Desert Shield and Desert Storm, having served in Saudi Arabia, Kuwait, Iraq, and Bahrain. Allan has traveled internationally many times. Abu Dhabi will be the 25th nation that he has visited.